Being Fernando Alonso's F1 teammate would be his biggest ask yet, but Carlos Sainz insists he is ready to ready to beat anyone on the grid. 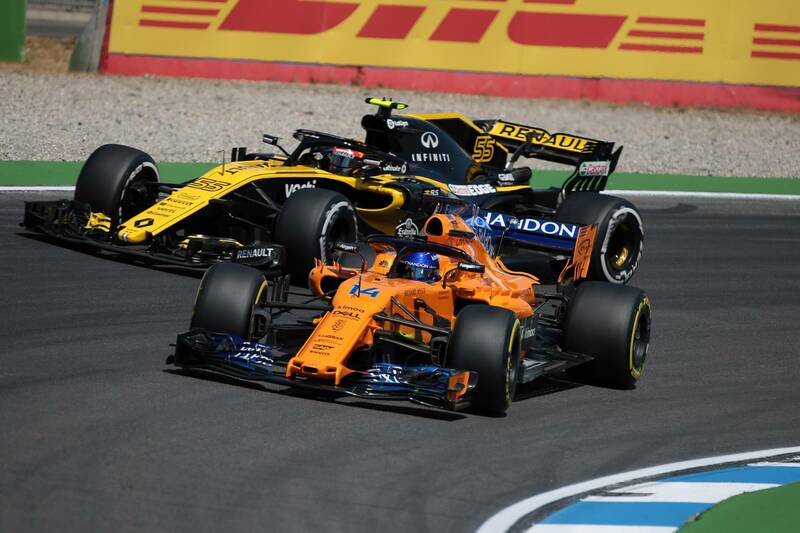 Carlos Sainz believes being partnered as Fernando Alonso’s teammate would provide him with the greatest challenge on the entire Formula 1 grid. McLaren is understood to be considering a move for Sainz, with racing director Zak Brown describing the Spaniard as a “great racer” and admitting he represents an attractive proposition for the Woking squad. Sainz has been linked with driving alongside fellow countryman and F1 idol Alonso, though the current McLaren driver is yet to decide whether to remain at the team as he continues to evaluate his future options. Ahead of the Hungarian Grand Prix and F1’s summer break, Sainz was asked for his thoughts on the prospect of becoming Alonso’s next teammate. "I don't know, because I haven't even thought about it, as still it's not happening,” Sainz responded when pressed on the matter. "I'm ready to beat anyone in the field. My racing spirit and my competitiveness and my self-confidence tells me that I can take over anyone. At the time of speaking, Sainz made it clear his future was unlikely to be sorted before he knew the situation surrounding Red Bull and Daniel Ricciardo. That has now been resolved, following the shock news last week that Riccairdo will leave Red Bull to join Renault, which has slammed the Enstone door shut on Sainz, meaning he now must look to either Red Bull or another team. His current deal with the energy drinks company is set to expire at the end of the month, meaning Red Bull faces the prospect of losing two of its backed drivers in the space of a few weeks.